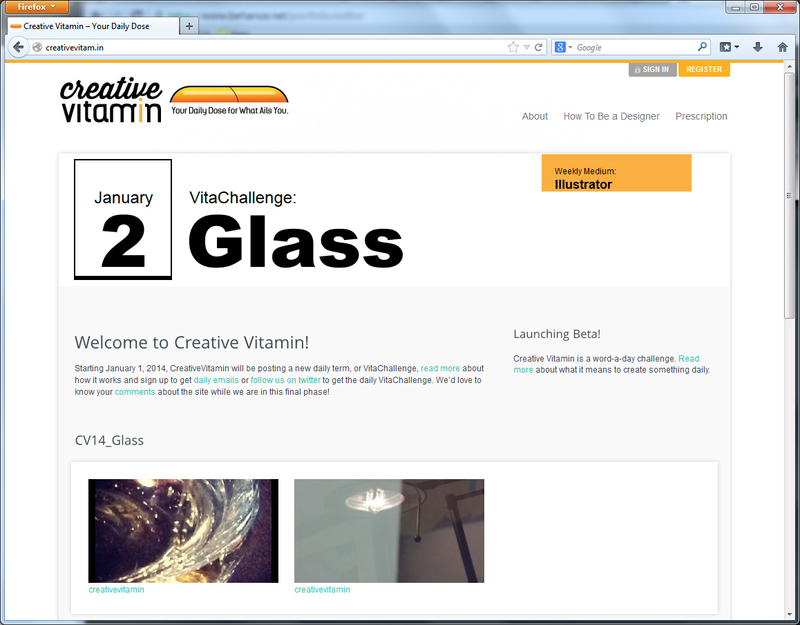 Creative Vitamin is an interactive word-a-day challenge for creatives. As a designer, I am attracted to waking up to a new concept each day, no ability to plan, take what comes, and just create. Creative Vitamin is an interactive word-a-day challenge for creatives. Use Creative Vitamin to get those creative juices flowing, get out of a rut, or as a break to think creatively about something different for a moment. Changing it up is good, which is why we provide a new word-a-day as a VitaChallenge, or prompt. Do something daily as your prescription for continuted creativity. On the homepage, you can see a gallery of the submissions of the daily term. I chose to issue the VitaChallenge daily, as opposed to alternative sites that give prompts in advance. This way you are inspired by your daily surroundings, create in the moment!